Home > Pangaea South Africa > Restroom finalization day! After many long days of drilling, welding and sawing, our work has paid off! 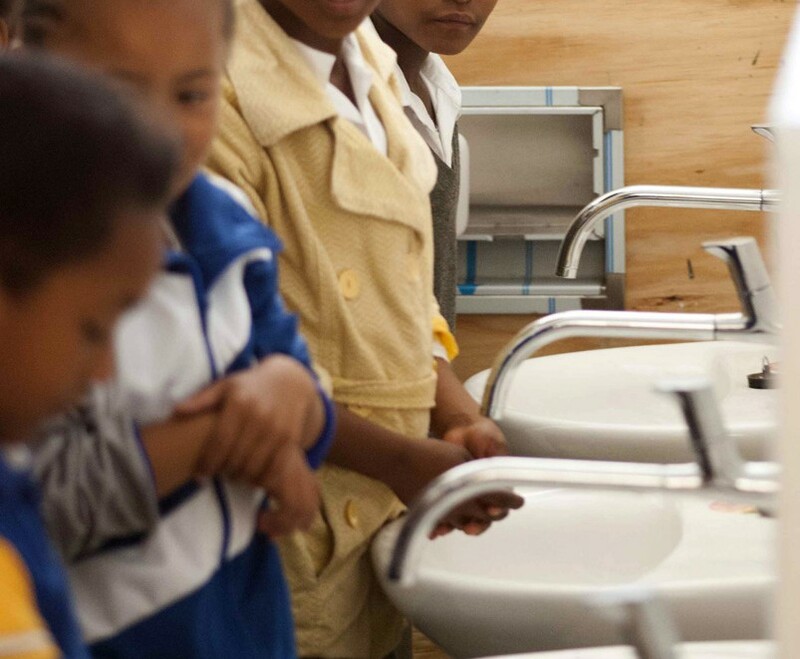 We revealed the new bathrooms to the foundation phase kids (ages 7 – 10). Each class had the chance to see their new facilities and to learn how to use them properly. We used role play (with lots of help from some older kids: Jason, Reedwann, Kaylin and Abegail as well as Geberit apprentices (Ruben and Ramona) to show the little ones how to keep it clean and beautiful. They really enjoyed seeing and using the brand new bathrooms! We had a good laugh at the little boys as they explored the new facilities. Eyes bright with happiness, the kids thanked us for all the work.